pen to runners and mountain bikers, in season. 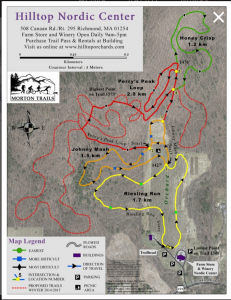 You can combine these trails for an approximately 4 mile loop, starting straight from the Farm Store and Winery. Head up Reisling Run until it intersects with the Johnny Mash Trail, then take that loop up to Petry’s Peak, around Honey Crisp, and back again. The track is soft and easygoing, and the views from the hilltop and through the orchard are Berkshires scenery at it’s best. Note, some of the trails are quite hilly! 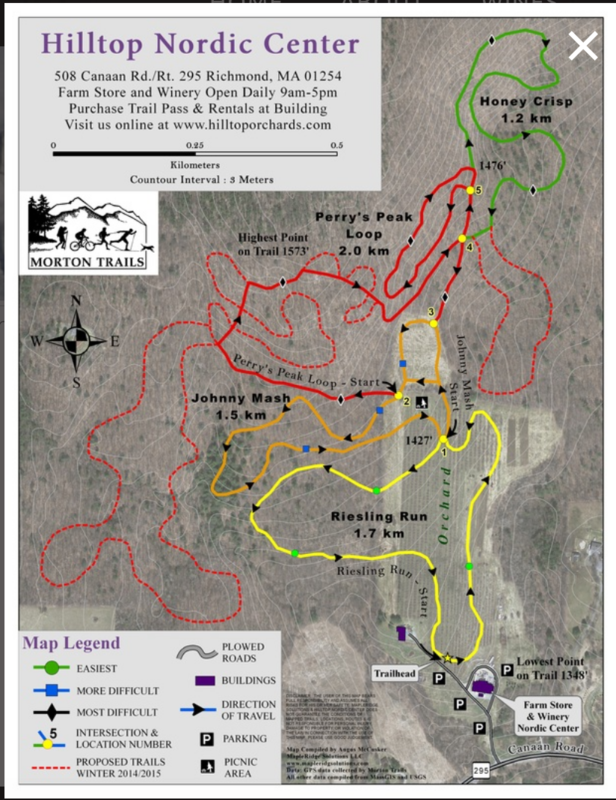 There is a $5 charge to use the trails, and you must sign in at the store, but most of the fee is donated to land conservation. 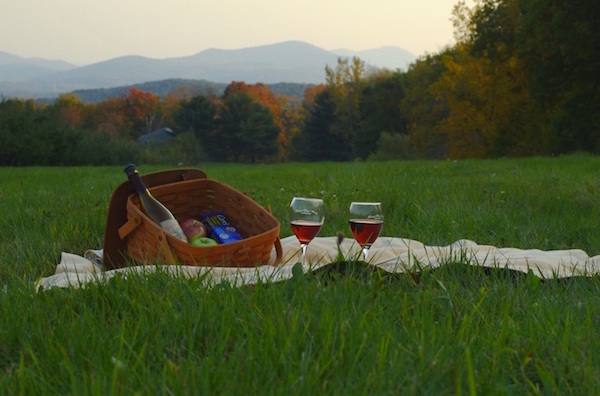 Plus, you can make the most of your visit by following up your run with a tour and tasting at the winery, a treat from the farm store, or an apple picking session. Parking is free, just be sure to check in at the store.